We were also a little nervous about the hills. This had been the biggest single topic of discussion among our group during the planning stages. 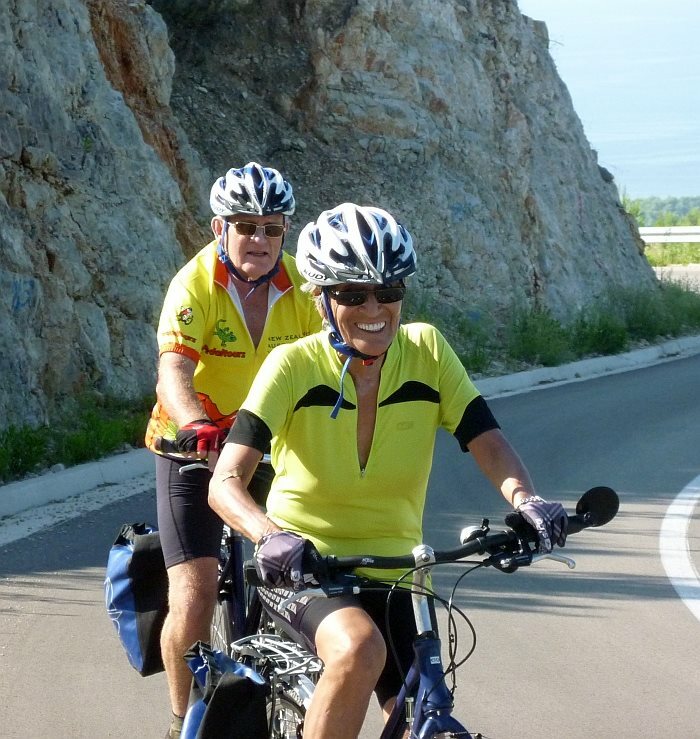 While most of us were cyclists, we did range from late 50s to early 70s, so it made sense to be prepared. Like many in our group, Cheryl and I made sure to get several trips under our belt over the summer in the islands near our home – but they averaged less than half the heights we were expecting here. 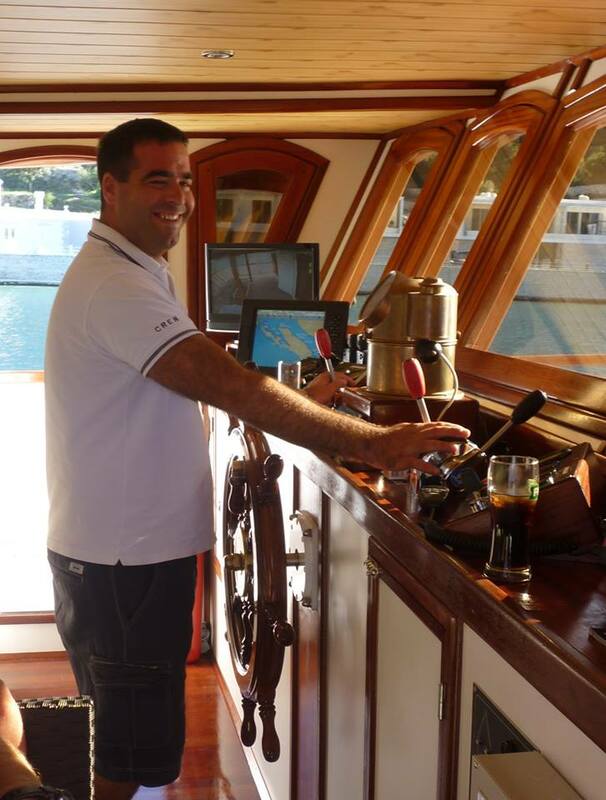 The following morning Captain Josip set course across an incredibly azure Adriatic towards the first of our island destinations, Šipan. This was our test ride: fairly level and about 45 minutes each way from the harbor to the small town of Suđurađ. Everyone would have a chance to iron out any kinks in their bicycles … or legs. Neven gives a rider a lesson on the e-bike. The promise of this ride was encouraging. The bikes performed well. The roads were quiet, and with a few exceptions, well signed and in good repair. Just in case, our guides had provided each of us with maps of the island, with our route hand-traced. Along the way, we passed vineyards and other crops, fascinating churches or occasional ruins, and figs and other fruit growing along the roadside. 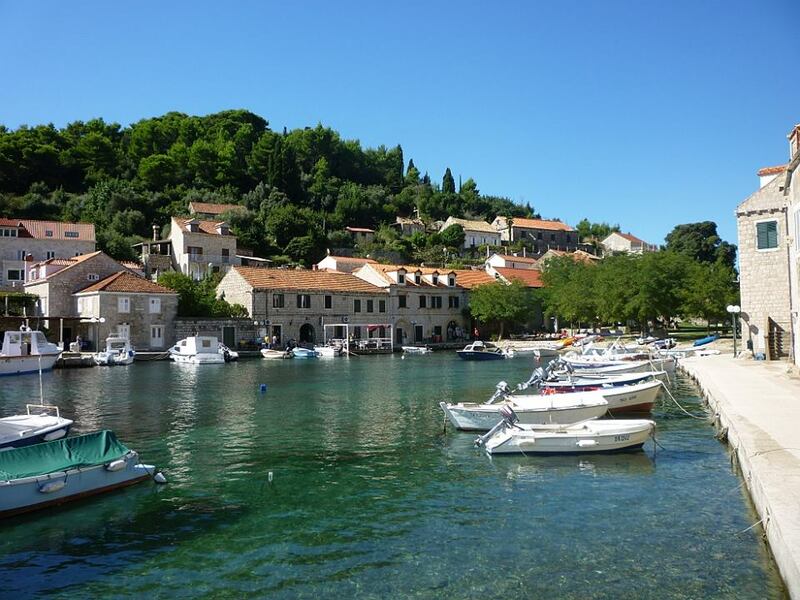 The quiet coffee stop at the picturesque waterfront town of Suđurađ was an excellent introduction to the many small island villages we would be visiting over the week to come. As we dug into our hot lunch back on the Harmonia, we got underway to our next destination. The crew and the guides on these trips work long hours and hard. Yet somehow they manage to remain upbeat and friendly all the while. Besides three hot meals a day and the on-demand bar, great Croatian coffee was always ready before seven, and the last drinks were served after 10 pm. Once and often twice a day, the entire stock of 35 bikes had to be unloaded from the hold and readied for the next ride. (Those e-bikes are heavy.) There was always something interesting for us to do while the staff worked. 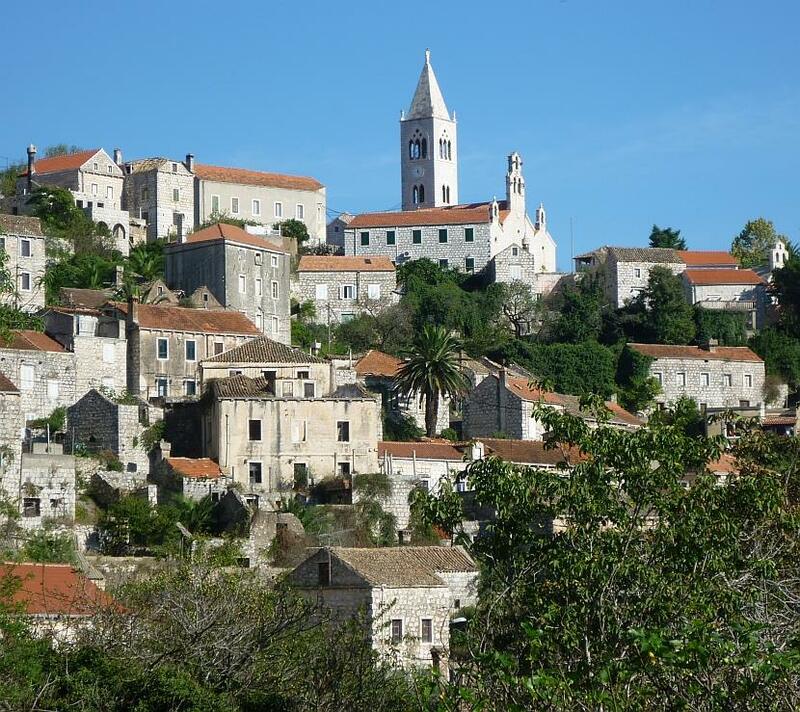 In Lastovo, each chimney is different, and reflected the home’s social status. There as a little bonus from the adventure. 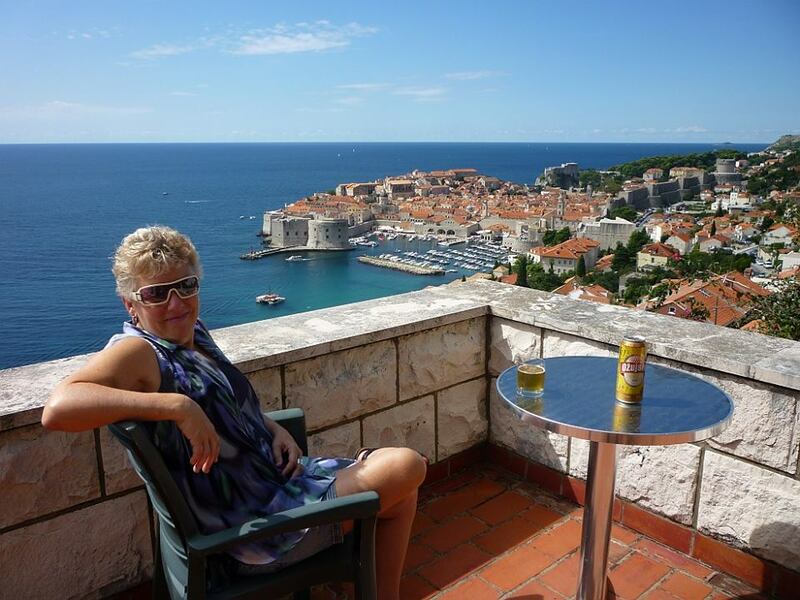 While Cheryl and I were out searching Lastovo with a friend of the missing man, we stumbled upon a tiny home-based winery, and were invited in for sampling and a mini-tour. Our companion was happy to buy a very inexpensive bottle of a very local wine. 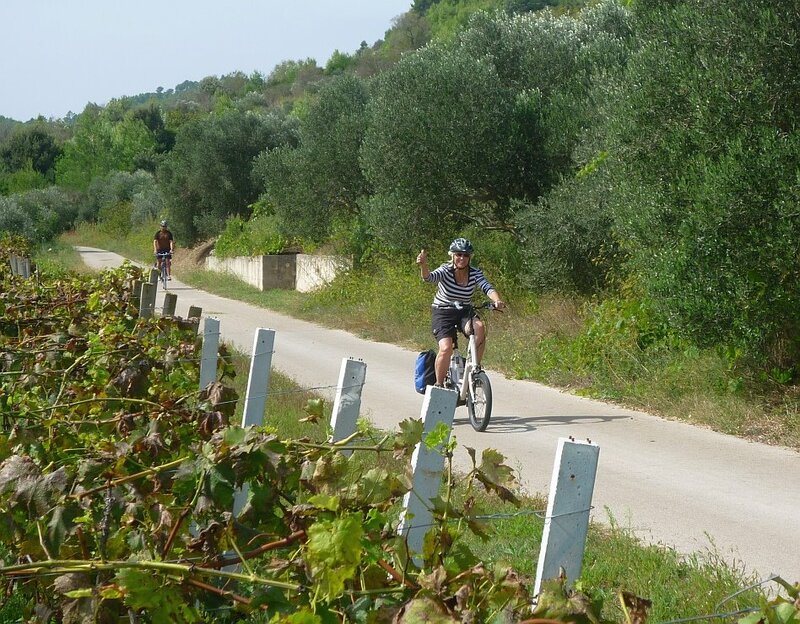 By policy, the tour company does not do winery stops in order to avoid dangerous afternoon riding conditions. 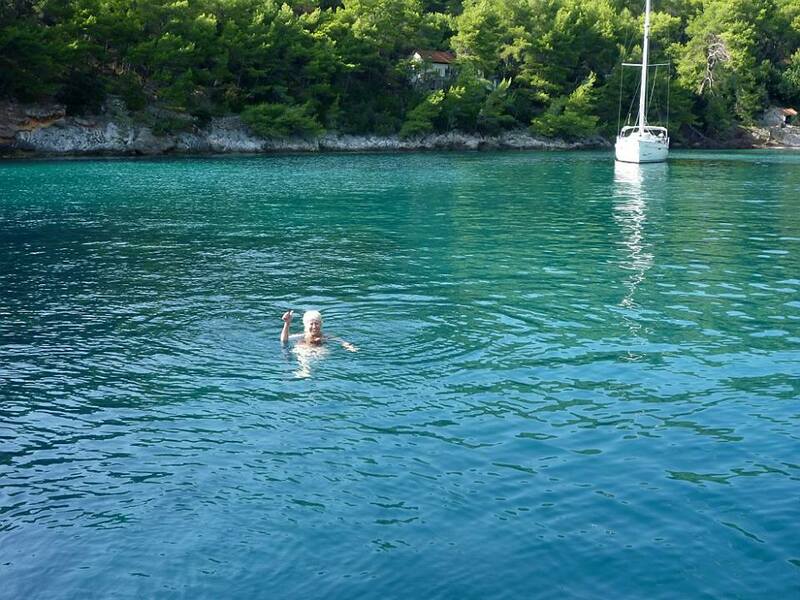 The water’s great at Prigradica on Korčula. After three days of hilly cycling, some of us were glad of a day off for a side trip to Mostar in neighboring Bosnia and Herzegovina. Others might have preferred not to break up the rhythm of the cycling. 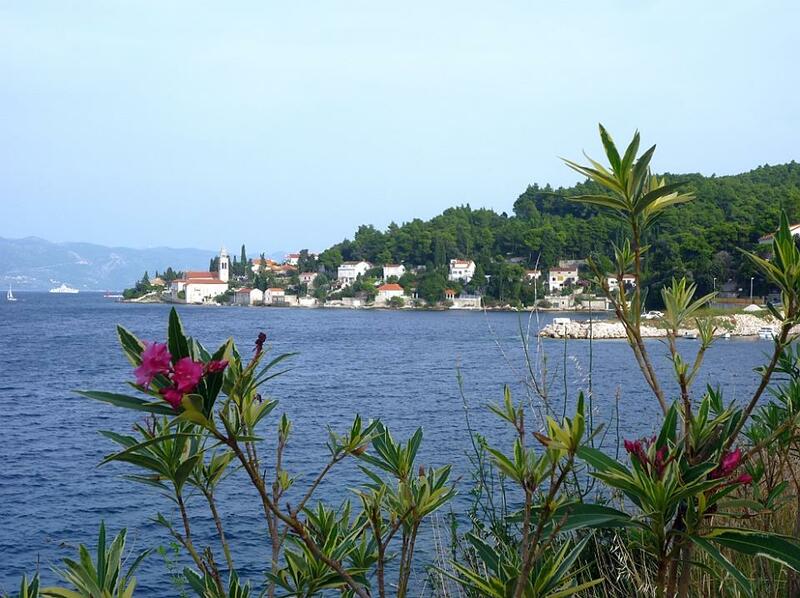 On the one hand, it was a two-hour bus ride each way, with lengthy stops at both Croatian and Bosnian customs in both directions. Mostar was hot, and rather overrun with tourists. On the other hand, it’s an iconic place, in terms of both its ancient and recent history. 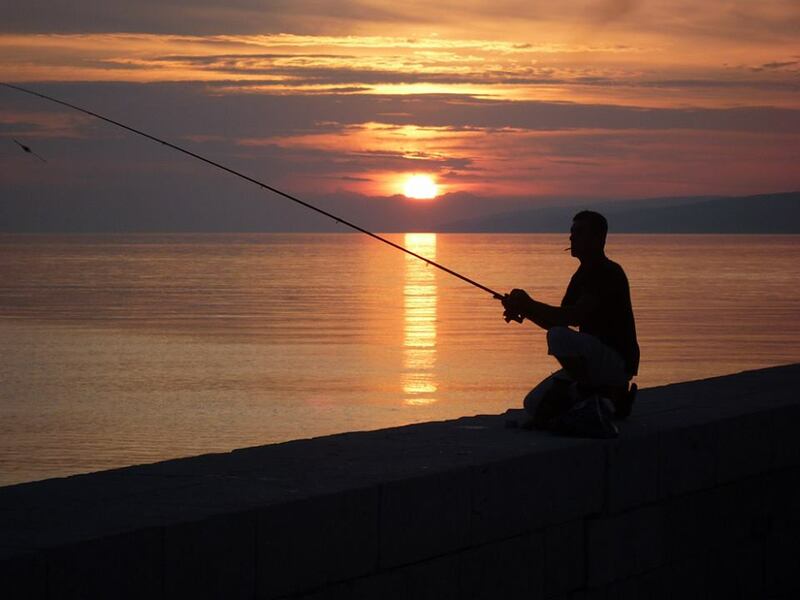 A peaceful evening in Gradac on the Makarska Rivijera. “Good Morning!” While underway, Petra (wearing her Croatian flag skirt) leads us in a class in Croatian. 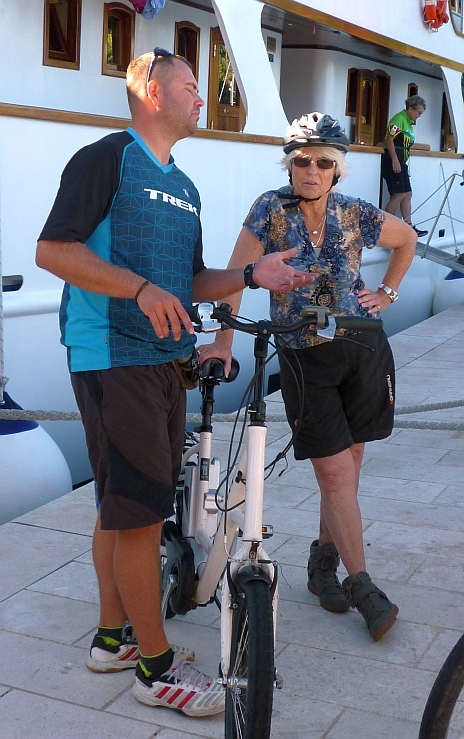 A leisurely sea-side ride into Korčula town. A rider demonstrates her e-bike on one of the many quiet back roads. I needn’t have worried about letting our group down. Comments ranged from “awesome” to “best trip ever!” September is a great month for riding here, and the best month for swimming. Apparently, this is true even in an off year. This was a well-organized tour; the crew and guides were personable and highly professional. 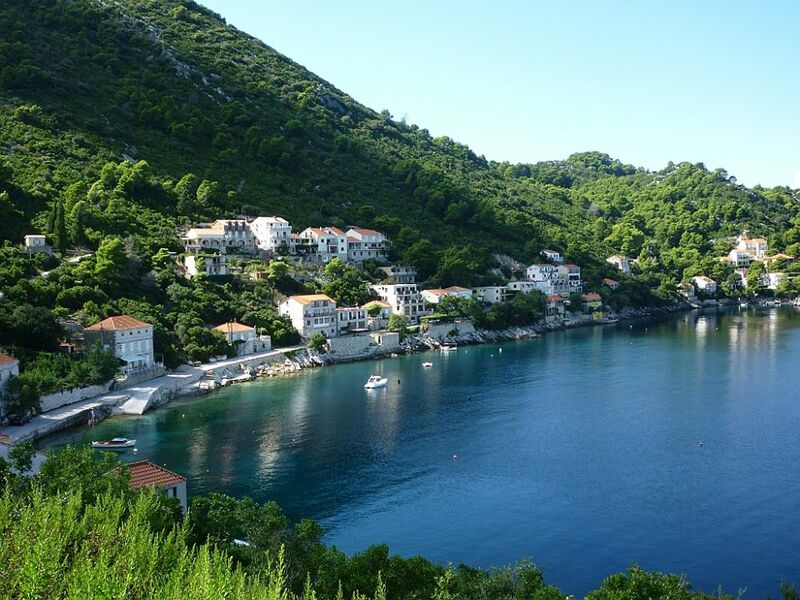 A beautiful part of the world, with history stretching back for millennia, the southern Dalmatian islands are a great place to swim, boat, and cycle. Or just to sit in the sun, watch the world go by, and enjoy a coffee, beer, or ice cream – national favorites, all. Some of us will be back. “This trip was awesome! When’s the next one?” (aboard the Harmonia). The tour company is Island Hopping, based in Germany. They operate similar tours in Croatia, Montenegro, and Greece. Others in our club have been on a number of these; all reported great trips. Their organized approach is evident. 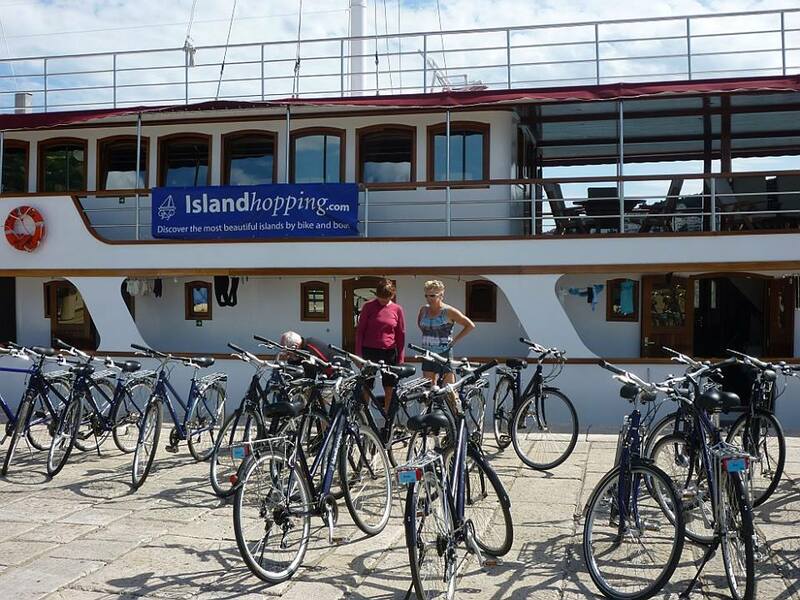 As with our Dalmatian trip, Island Hopping charters local ships and crews, and contracts independent ride leaders and guides. Their tour list sounds like our bucket list. We booked this trip through BikeTours.com (formerly Bike Tours Direct.) This is the second trip we’ve booked through them. You pay the same rate whether booking directly or through BikeTours.com, but we have done well going through a company we know, and in our time zone. The small team at BikeTours.com are all riders themselves – sometimes they’re spread a little thin when they’re out reviewing rides, but that’s the good news. They know a lot about the tours they sell. Simon & Richie did an excellent job of helping us coordinate the plans of 17 riders. (That may warrant a post of its own!) We look forward to dealing with them again. 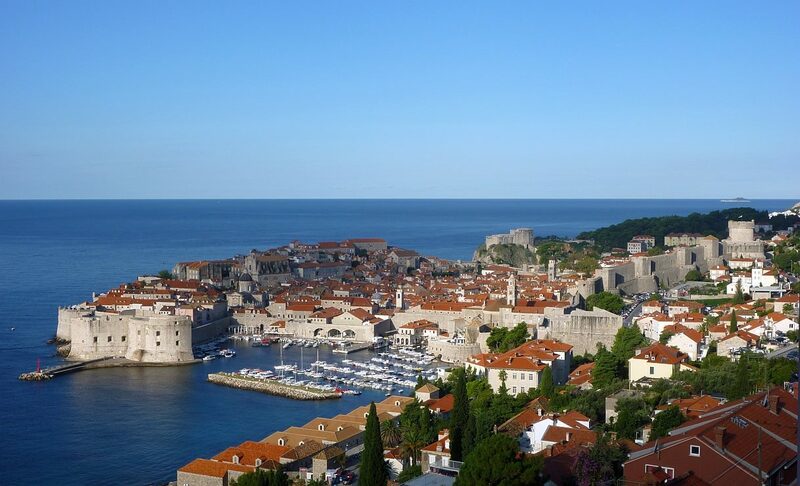 Meanwhile, here’s the tour: Dalmatia from Dubrovnik. This story gives such a great flavor for life onboard a bike and boat tour — I just did one in Holland and Belgium myself for the first time and absolutely loved the pace and camaraderie that this style of tour allows. Thanks for letting us share it to our friends! 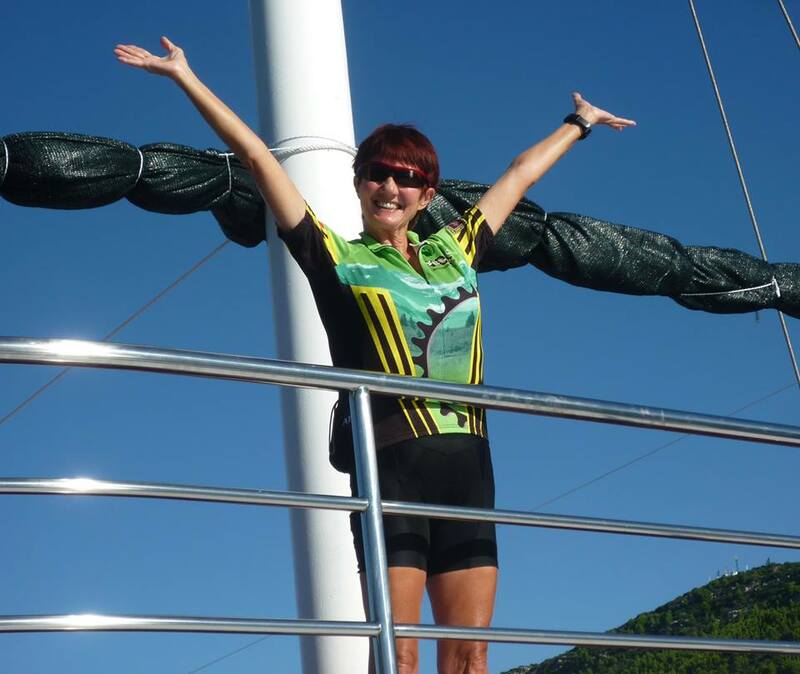 Tracie, Dalmatia is a beautiful region, and bike and boat touring is indeed the best way to explore it. 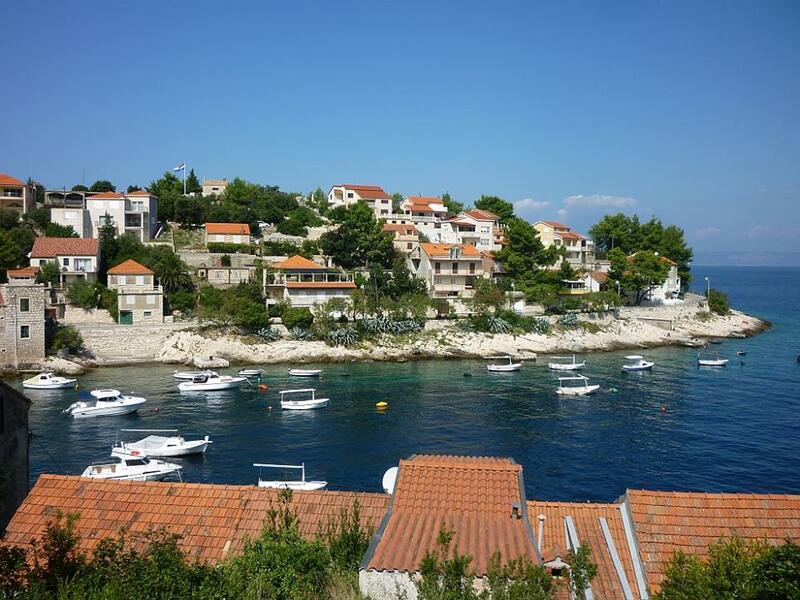 I’ve toured northern Dalmatia and loved it. 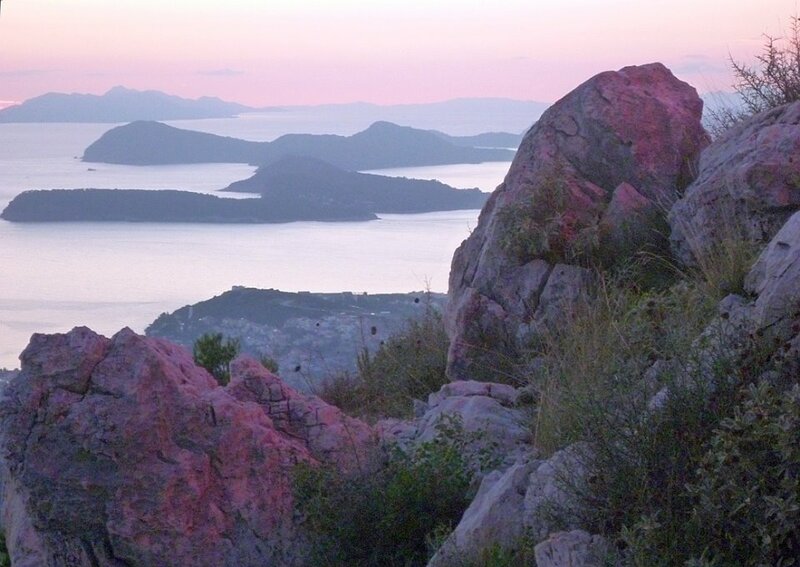 Friends and clients tell me southern Dalmatia is even more beautiful. Please let us know when you’re ready to start planning. You’ll love it! Veronica, I agree! I did my first bike and boat tour last year (in the Netherlands and Belgium), and the combination of relaxing cruise with on-land exploration by bike was a perfect blend to me. 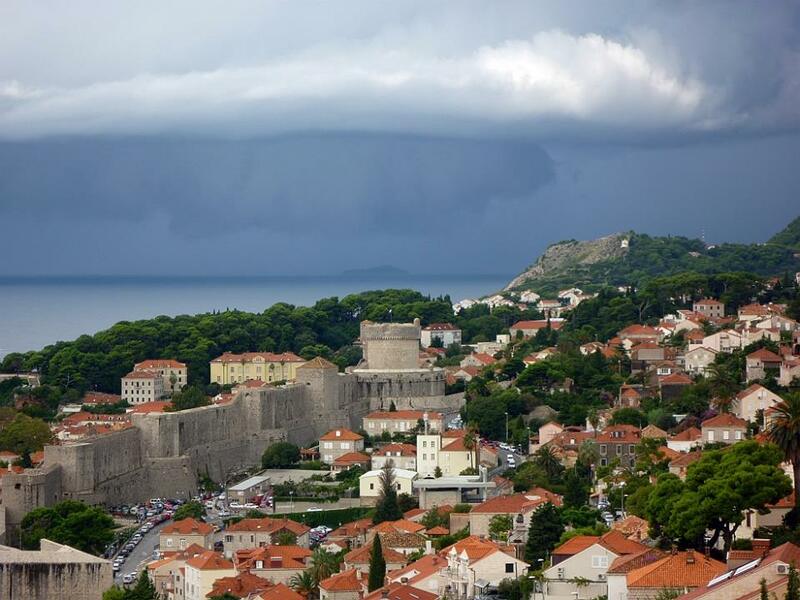 I’m hoping to do the same in Croatia soon too!